Even in skateboarding’s post Brian Anderson landscape, skateboarding is still not the most welcoming place for the L.G.B.T.Q. community. Recognizing this, Jeffrey Cheung founded Unity—a group that creates a safe space for L.G.B.T.Q. skaters to skate and interact with each other—in Norther Califronia’s East Bay in the start of the 2017. Before Unity, many of these skaters road by themselves, or not at all, in order to avoid being persecuted for their sexual orientation. Feeling comfortable rolling up to a skatepark or spot being who we are is something that most of us take for granted. This New York Times article sheds some light on what it’s like being an L.G.B.T.Q. 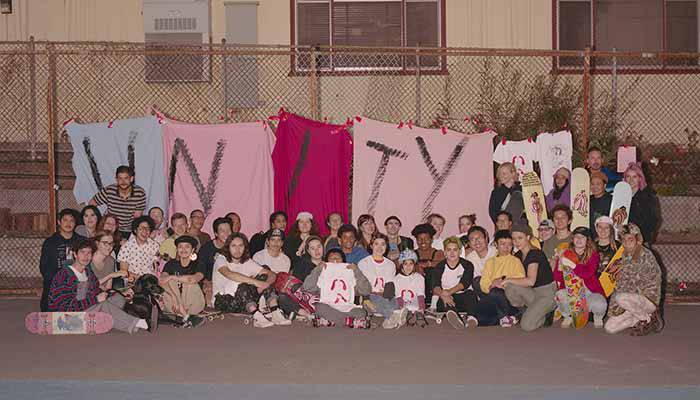 skater, and why groups like Unity are so important. We encourage everyone that visits this site to take a moment to check this piece out.